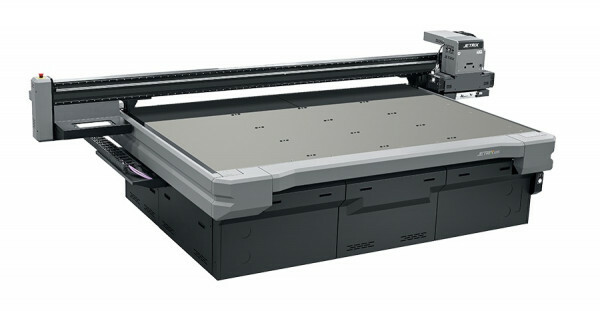 UV Flatbed technology has torn up the rule book when it comes to what you can print on. 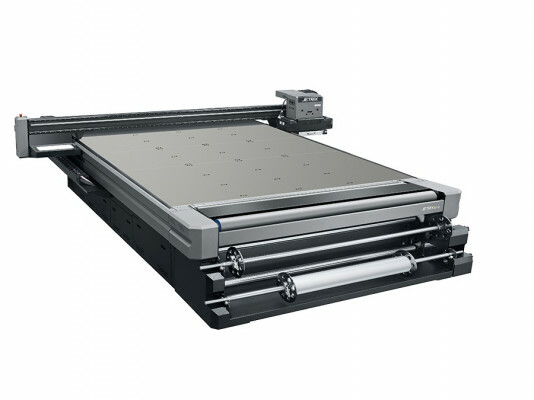 We just happen to think that the Jetrix flat-bed printer is quite a remarkable piece of equipment and have been seriously impressed by its performance and versatility. This is a flat-bed printer that allows you to print on almost anything! From the everyday applications such as board, glass, vinyl and acrylic to exceptional surfaces such as fruit machine casings, aeroplane and ship parts, stainless steel, coffins, entire doors, laminate floorboards and carpet lengths … "and just sayin’, it can even print on water!" 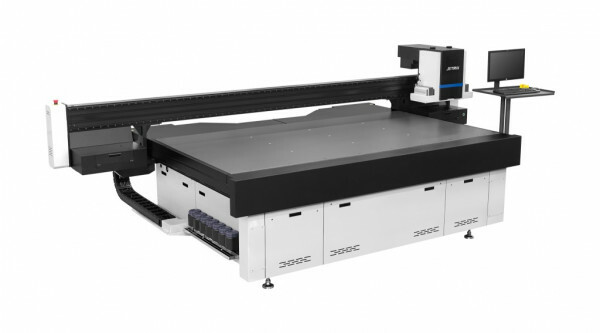 The possibilities are endless and Jetrix UV flatbed technology opens up a whole new creative realm to print specialists. Papergraphics has worked with Jetrix/Inktec for many years now and whilst they may not be recognised as a big, global brand, we have elected to use and sell them, as through trials and tests, they have proven to be well-built, intelligently designed, represent great value for money, offer fast and superb high-quality output and importantly, are frugal on ink consumption. We would be happy to set up a demonstration for you and we think you’ll be impressed! If you’d like to know more or see the Jetrix in action – just give us a call. 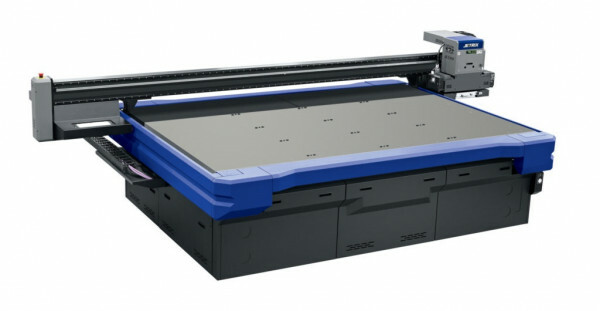 The JETRIX series of UV printers (launched in 2008), were awarded the prestigious ‘Best Specialist Printing Solution’ award at Drupa in 2012.Unlike other manufacturers, InkTec’s Korean production plant is self-developed, using our own technology and vast experience, to develop formulating machines to automated packaging equipment and printers. The stringent quality control and integrated technology of InkTec’s Quality Management Team ensures all products are the best in class. InkTec, together with JETRIX, are consistently striving to be the best in world class printing in a multitude of markets, providing our customers with the best possible products and service.